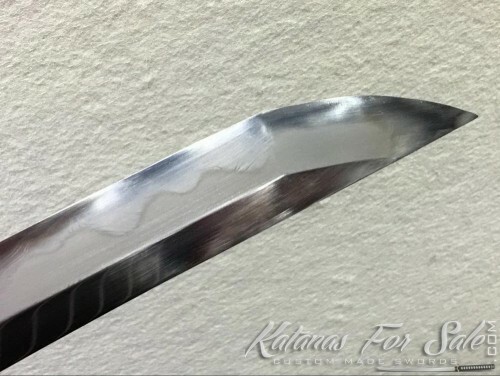 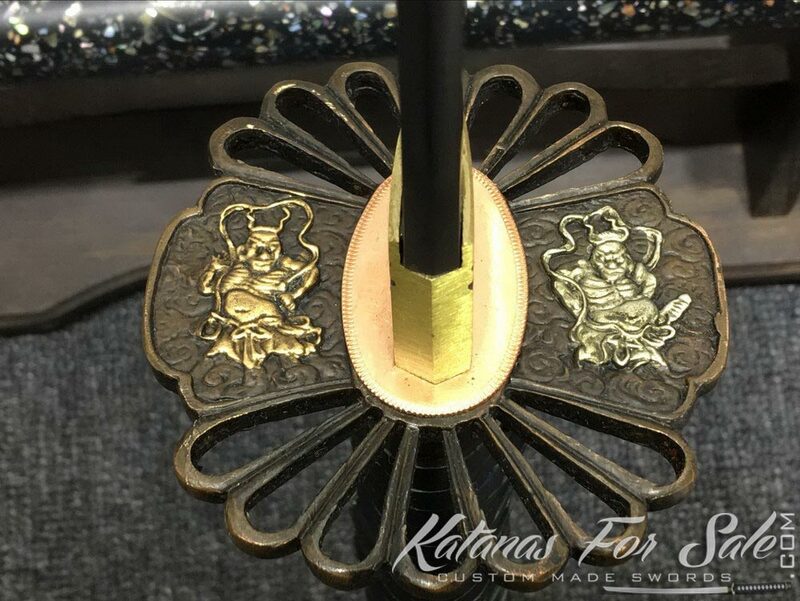 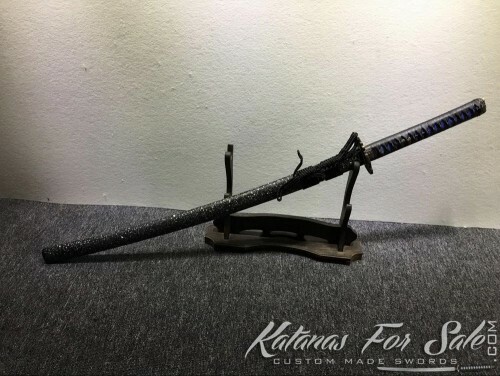 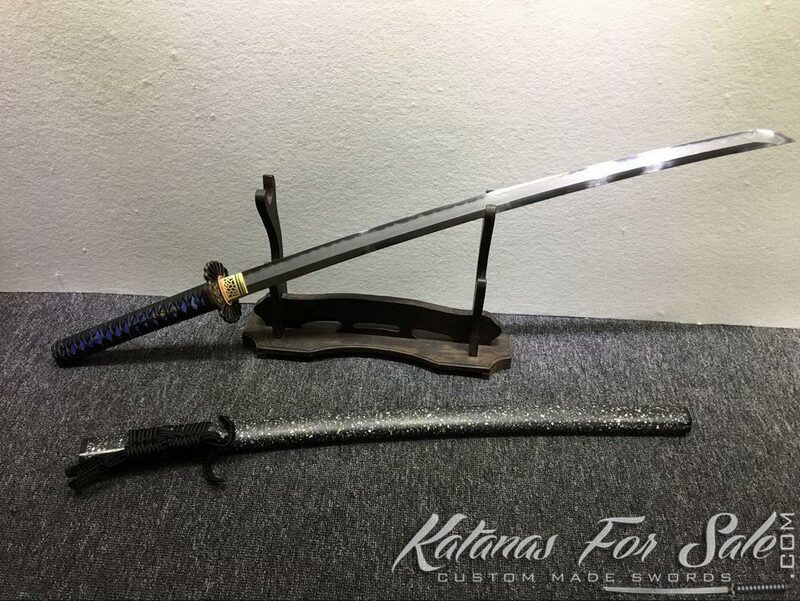 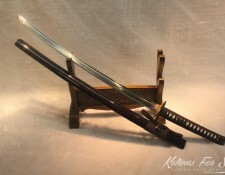 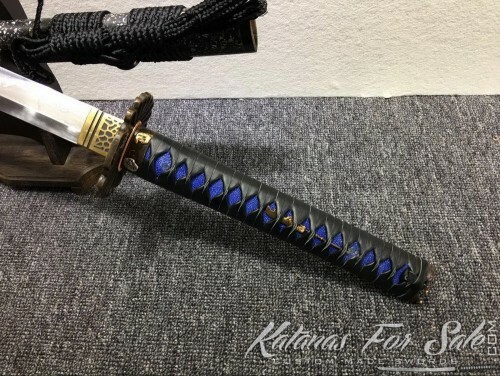 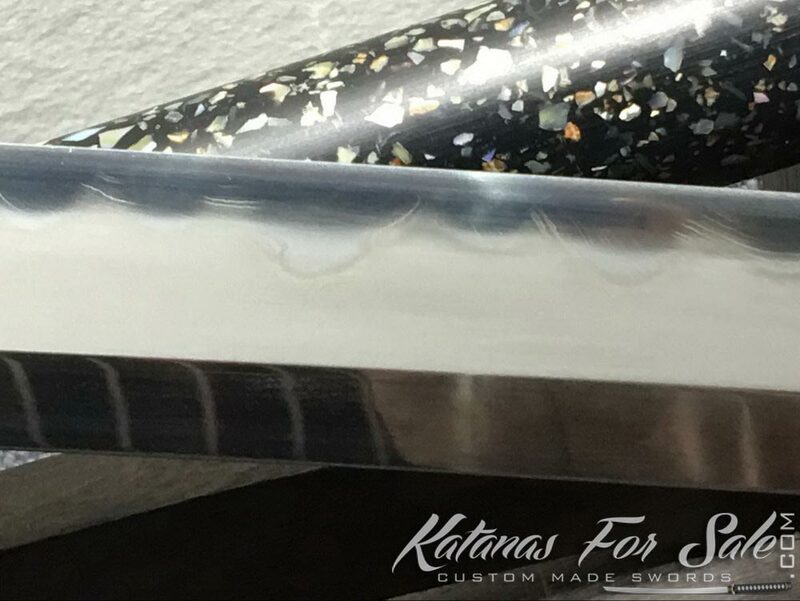 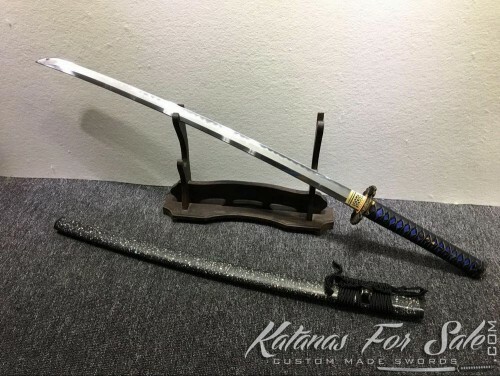 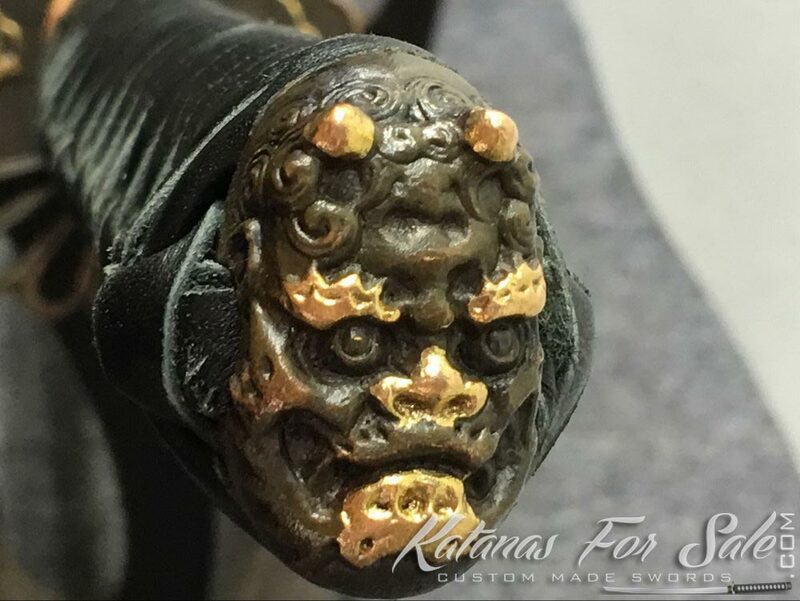 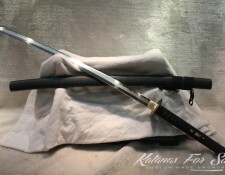 This T10 folded clay tempered Katana sword has been handmade and hand polished with the feather Hadori polish, The fittings are made of high quality copper, the handle is authentic black leather with indigo blue samegawa. 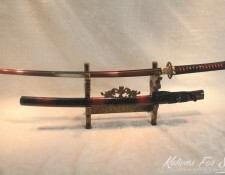 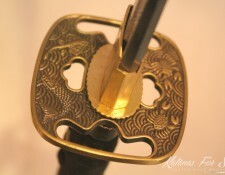 it has high quality Saya that features a full seashell pattern. Tsuka (Handle): Black leather wrap with indigo blue samegawa.